SWAccessControl.com, a popular magnetic lock company, has recently released its new selection of 70KG Single Door Magnetic Mini Locks. SWAccessControl.com, a popular magnetic lock company, has recently released its new selection of 70KG Single Door Magnetic Mini Locks. What’s more, the company has announced big discounts for its practical products. In other words, all the company’s brand new locks are now available at discounted prices, up to 30% off. 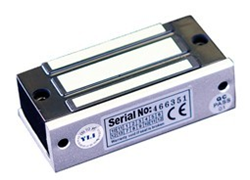 The company’s high quality magnetic locks are offered in many versions, including 180KG Double Door Magnetic Locks, 280KG Double Door Magnetic Locks (LED), 70KG Single Door Magnetic Mini Locks and so on. All of them are made by experienced workers. In the company’s new collection, worldwide clients can certainly find their dream locks effortlessly to keep their houses safe and comfortable. “We are very happy to unveil the new selection of 70KG Single Door Magnetic Mini Locks and launch the special offer to show our appreciation to worldwide clients. Owing to our innovative products, competitive prices and amicable services, our company has become one of the industry leaders. All the discounted magnetic locks come with low shipping costs at the moment,” the company’s chief executive officer says. 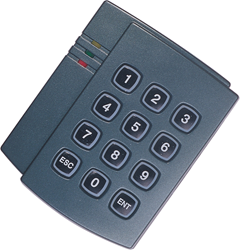 SWAccessControl.com is a leading online store of access control system products. With an aim of offering the most affordable and convenient products, the company often announces new innovative products. In addition, it launches big promotions at its one stop website frequently. Customer service is the top priority of this professional supplier. More details about the company and its high quality products can be found at http://www.swaccesscontrol.com/?content/product/category/8/index.html.